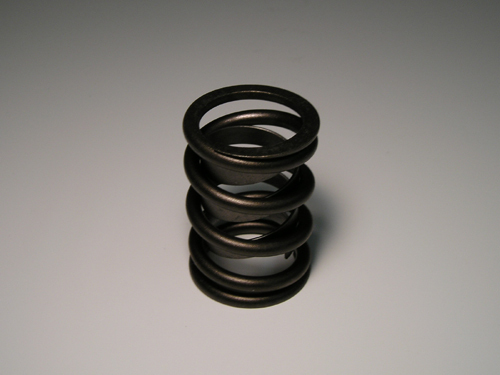 These springs are designed for more radical hydraulic roller camshafts with increased valve lift and more aggressive lobes. They are designed to be used with BOPORT or other .400" tip length (vs. .550") valves ONLY to yield a taller installed height allowing more lift. This allows adequate clearance from the valve spring retainer to the valve seal without having to drag the head down to the machine shop for machining your guide boss area down. These springs are standard equipment in my stage 2 and 3 cam kits. They should be installed at a 1.65" installed height where they yield 125# closed pressure and 250# open at a .520" valve lift.